Lee & Low Books, 9781600602665, 40pp. As Tim ponders how he might earn money for a skateboard, he hears The Can Man down the street collecting empty soft drink cans. The clang of the cans in the homeless man's cart gives Tim an idea. He will collect cans too, and cash them in for the redemption money. 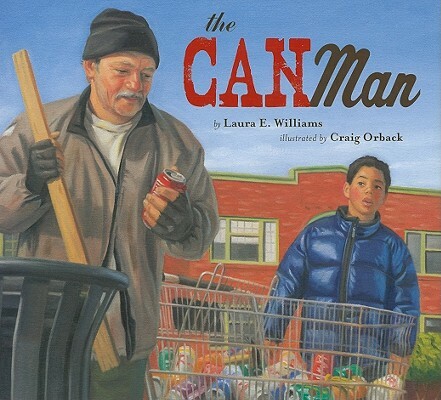 By the end of the week, Tim has almost reached his goal--until a couple of chance encounters with The Can Man change everything.